Dive into the action-packed comedy adventures of Mister Smith, where you choose your own destiny! 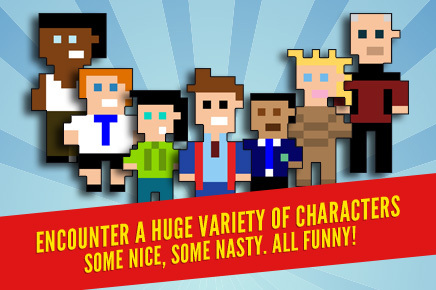 Mister Smith & His Adventures contains a treasure-trove of comedy stories to play! You make the decisions … you affect the storyline. Be clever or dumb. Be kind or evil. Be logical or don’t make any sense at all – the choice is yours! 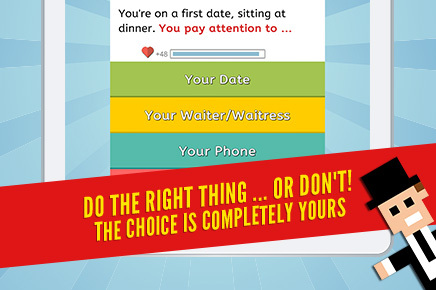 What’s more important: your date or your phone? Who would you save from a fire: yourself, your cat, or your stamp collection? What is the capital of France? Oh yes – there’s also trivia quizzes! Everybody loves quizzes! You make choices for Mister Smith and experience the consequences of those decisions! It’s not even complicated (if you have a working brain) to control the plot. You’re presented with options, you pick one, and experience the (often hilarious, we promise) consequences of your decisions. 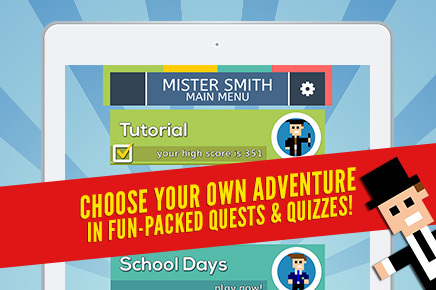 – Mister Smith is easy to pick up and play, anywhere! 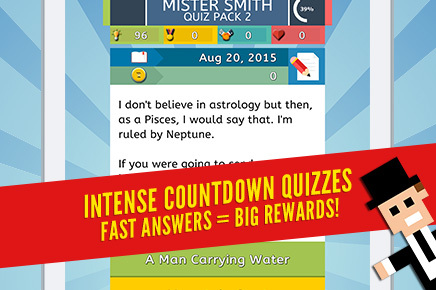 – Trivia questions in quizzes against the clock, earn points and prizes! – Laugh constantly (if you like to laugh, and who doesn’t?) at incredible choices and outcomes! – Loads of achievements to show your intelligence, ineptitude and possible insanity. 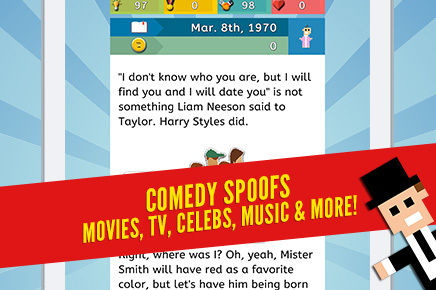 – Mister Smith & His Adventures is a game by wannabe comedy writer, Steven McDade (www.stevenmcdade.com).